The Thompson family has donated $500,000 to endow a fund at Camp Kieve in Nobleboro to give scholarships for boys from less affluent families to attend camp. 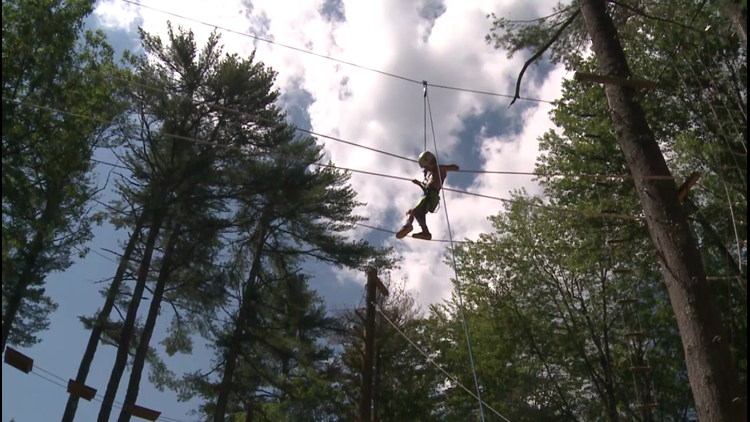 NOBLEBORO (NEWS CENTER Maine) — Thousands of kids enjoy Maine summer camps each year. Now a few more will get the chance, thanks to a family whose own son loved camp, and who are turning a tragedy into a chance to help others. "The happiest four summers of his life is how Margie Thompson describes the years her son, John Fish, spent at Camp Kieve in Nobleboro. She says John attended the camp from age 9 through 12. Margie’s father, Bill Thompson, remembers the boy being so excited about camp he couldn’t stop talking about it. But they say John suffered from mental illness, and the led the young man to commit suicide at age 24. As the family has come to terms with his death, they have decided to honor John’s memory by helping more kids attend summer camp. The Thompson family has donated $500,000 to endow a fund at Camp Kieve to give scholarships for boys from less affluent families to attend camp. "They will find people like John, deserving of coming to a place like this, learning what togetherness is, what humanity is," said Bill Thompson, who added that he believes the world needs more people to embrace those values. John’s mother said the donation was an easy decision, because of how her son’s life was enriched by his years at the camp. "And he’s very happy right now," Margie Thompson said, "smiling down on us knowing this is happening. Because he always liked to help the next guy in line, so he can help other kids have the experience he had that means a lot to him and to us." Camp Kieve director Henry Kennedy, who said he remembers John as a young camper, also said the scholarship fund will allow at least two boys to attend camp each summer, potentially forever. He said one boy is already enjoying camp this summer because of the new scholarship.